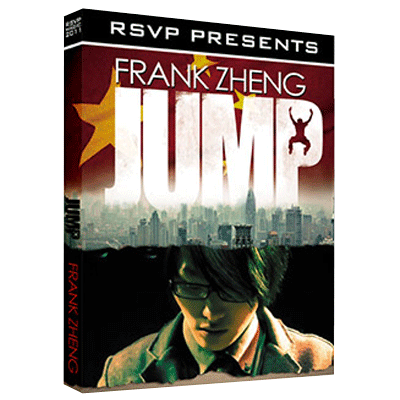 Welcome to this superb new video from Frank Zheng. We are rsvp are extremely lucky to have been able to capture this magic on video as Frank is from Shanghai, China and managing to get this project shot was probably our hardest ever task! This video features seven routines, including the amazing Balloon Burst effect that everyone is talking about. Imagine borrow any balloon and then burst it without touching it (your hands can be examined before and after the effect). This is bound to be used by working magicians everywhere. Also featured are some stunning routines using both coins and cards, again material that Frank uses every night in his professional work. Yet again another magician that we at rsvpmagic are proud to bring to your attention, as this video features magic that you WILL use! This is the effect that everyone is talking about. The perfect routine that gets attention from everyone in the room. Imagine asking the spectator to choose ANY balloon, which can then be examined. The balloon is blown up and held by the spectator. The magician now asks that they check hsi hands don't have sharp objects or chemicals concealed anywhere. This is confirmed. The magician now moves his hands slowly towards the balloon and without touching it, the balloon bursts in the spectators hands! This is a brilliant idea that uses a gimmick already in most magicians' arsenals. Best of all it re-sets almost instantly! Worth the price of the video alone and something that you will use all the time. Frank's mainstay coin routine that builds and builds to a superb 3-fly piece that will leave your audiences stunned. Uses a gaff coin made by Todd Laser, but sections can be learnt using just a regular coin if you wish. Frank's handling of the birthday card packet trick. A brilliant routine using just four cards and one very strong emotional hook! A brilliant multi-phase routine for all card magicians. Using three regular, ungimmicked coins and one card, you'll be able perform amazing feats of magic that will blow your audience away. A performance only of Frank's Hearts Routine that shows how to make your magic different and memorable. A stunning four card matrix routine that you will use! A super clean transposition of a coin into a Chinese coin, after which you can show your hands clean!